I'd like to wish everyone a very Merry Christmas and the happiest of New Year's! It may surprise you to know that these pretty mushrooms are probably behind the story of how reindeer learned how to fly - well, sort of! 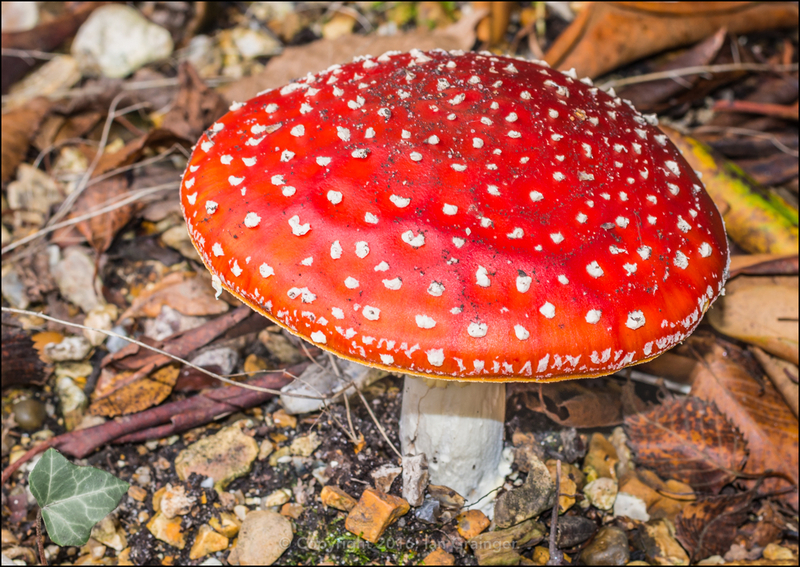 It turns out that the Fly Agaric is a very toxic mushroom, but, has hallucinogenic properties. The reindeer herders knew this, but were still keen to try tripping on them. It also turns out that reindeer love these mushrooms, and can eat them by the sack load, with them having no ill effects. Now, this is where it gets a bit icky! Some enterprising herder decided that the toxic effects of the mushroom would be much less, once they'd passed through the reindeer, so decided to collect some reindeer pee after it had munched on some mushrooms - and then drink it! Yeah, very icky indeed! However, this did the trick, and the reindeer herders could get as high as kites, safe in the knowledge that they were going to return from their trip, most importantly, not dead. Of course, all manner of strange things happen when one is tripping (so I'm told), and it was only a short time after the practice started that stories of flying reindeer became rife amongst the herders. Hence, that is how reindeer became known to fly!